The Right Place For Your Community Retreat. The Emmaus Centre at Wydale Hall in North Yorkshire provides self catering for up to 49 people and is perfect for church groups and church youth groups. The Emmaus Centre is also perfect for large groups of scouts, walkers, cyclists and other groups who would like to stay in dormitory style accommodation. The sleeping accommodation is in dormitories. The largest room sleeps approximately 17 and is partitioned to provide separate bays and there is a room opposite which sleeps 5. The Hope Wing has four downstairs rooms which sleep up to 4 people each - these rooms are specially adapted for guests with disabilities with 2 being on-suite. Above them is a large dormitory with 8 single beds and a further small one with 5 single beds. The Kitchen is fully equipped with a commercial gas oven (L.P.G), electric hot cupboard, fridge & freezer, kettle & toasters. All crockery & cutlery is provided. The dining room has direct access to the kitchen and has tables and chairs which can be arranged as the group may wish. This room used to be the coach house! It is a large and spacious room suitable for games and group activities. There are plenty of chairs and sofas as well as a large screen TV & DVD player. In the Centre: Colour TV and DVD player, flip chart and pens. Available from the hall by arrangement: multi media projector, various sports equipment. 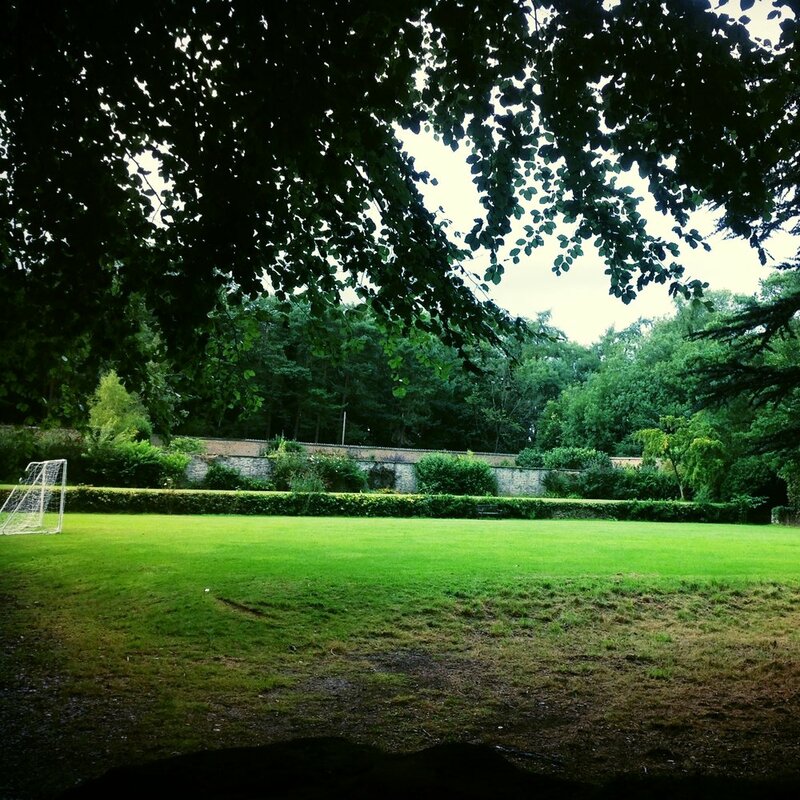 The Emmaus also has a table tennis room, an all weather sports pitch, a grass football pitch, a play area for young children, an outside worship chapel and The Bothy (a quiet woodland reading spot). Guests are welcome to use the Wydale Bar in the evenings and the gardens and woods of the hall are also available for groups in the Emmaus. Follow the link to view the mentioned Wydale Facilities.